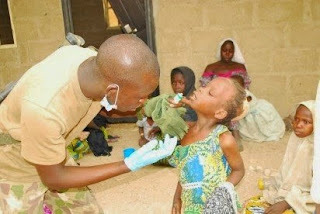 The Nigerian military has rescued 25 more women and children from Sambisa forest, and destroyed seven additional terrorist camps in the Boko Haram enclave, in a renewed onslaught against the Islamist sect. The Director of Defence Information (DDI), Maj-Gen. Chris Olukolade, disclosed this in a statement on Wednesday, adding that more Boko Haram fighters were killed in the process. Olukolade said that the troops who scaled the landmines in continuation of the assault on the forest bases of the terrorists, captured camps which include the four notorious Alafa camps as well as those in Rogo Fulani, Laraga and others used for the terrorists' training in the forest. According to him, various weapons including rocket propelled grenades (RPGs), anti-aircraft guns and a number of vehicles were either captured or destroyed during the operation. Olukolade further disclosed that the four soldiers who were wounded during the rescue operation were evacuated for treatment. He said military operation was continuing with troops demonstrating high morale and fighting spirit as they search the forests for terrorists, arms and hostages.